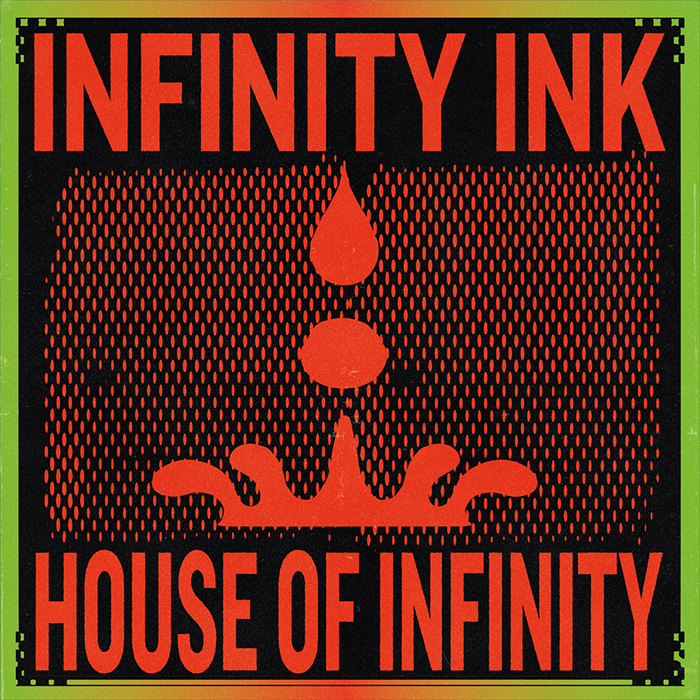 AMSTERDAM, April 5, 2019 – Infinity Ink unveil their hugely anticipated debut album. ‘House of Infinity’. Hot on the heels of ‘Rushing Back’, their first single of 2019 featuring the mesmerising vocals of Yasmin, the duo invites a host of leading feature artists to create their most diverse and triumphant chapter yet. From its conception, ‘House of Infinity’ has been a labour of love for duo Ali Love and Luca Cazal, recorded over the space of three years across various studios in London, Ibiza and Toronto. Welcoming guest singers to collaborate, they produced the album with a minimal amount of software, opting instead for an analogue approach, playing live instruments as much as possible. The result is a long player that covers the full spectrum of their influences: classic songwriting that draws from the sounds of Disco, Acid and Chicago House with nods to ‘60s psychedelia. The album begins with a monologue led intro, combining modular synthesizers with lyrics about teleportation and black holes, a musical theme that carries on throughout the LP. This flows straight into the enticing ‘Set Your Body Free’, armed with a conga-heavy beat lifted via club-ready vocals from Ali Love himself. The next solo appearance from Ali doesn’t happen till later on with ‘Alienation’. New York underground legends Mr. V and eLBee BaD lend their voice to their respective tracks. In ‘The Rush’, Mr. V’s heady vocals layer over a rumbling 303 bassline destined for peak hours. ‘Get Up On The Rhythm And Dance’ is elevated via eLBee BaD’s unmistakable tone, centered around a Chicago groove and cosmic pads as the feeling of the album slowly unravels. Released earlier this year and heavily supported on BBC Radio 1, ‘Rushing Back’ is a UK garage infused number adorned with melodic synths and Yasmin’s soulful voice. The duo had similar success with the singer on ‘How Do I Love You’, an enchanting hit that features towards the close of the album. Midway through, ‘Aya’ lulls the listener into a hypnotic state, fully submerging them in the warm sonics that Infinity Ink are famed for. Injecting energy, both ‘Cloud 8.5’ featuring Tim Fuller and ‘Situation’ featuring Cedric Gasaïda combine live playing alongside programmed beats, expertly structured in a modern-day disco framework. The album closes with the melancholic melody of ‘Tomorrow Never Comes’, filling you with ambient tones and Ali’s love-drenched lyrics. Ali and Luca have formed a tight musical bond over time. Friends for twenty years and collaborating for most of them, they have released a plethora of highly regarded tracks that have defined their presence in the industry and showcased their ability to create catchy music that works perfectly in big club rooms and small smoke-filled basements alike. Their DJ sets and live performances are bursting with energy and have taken them across the globe from London to Chicago, Miami to Paris, and New York to Amsterdam. The pair have graced some of the world’s greatest parties and events such as Glastonbury, CRSSD Festival and DGTL. Now with the release of their debut album, Infinity Ink are here to push their sound to the next level.